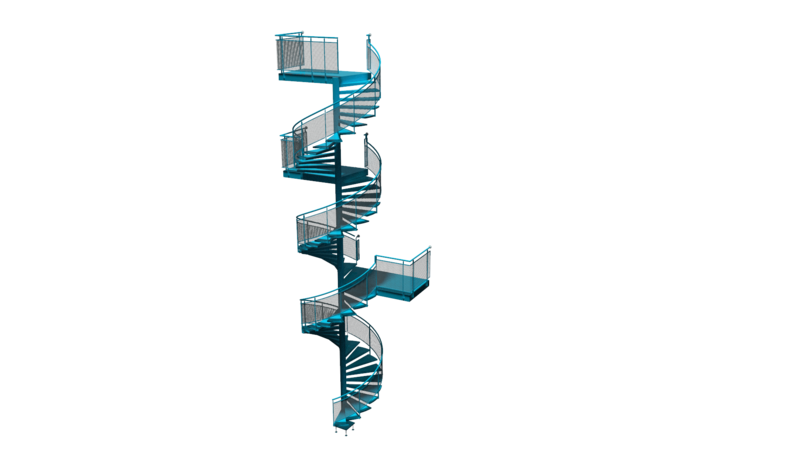 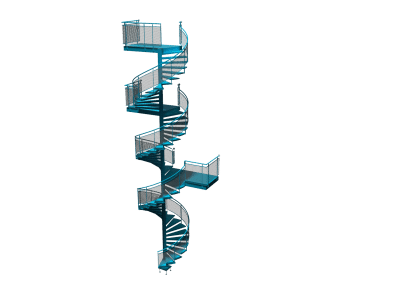 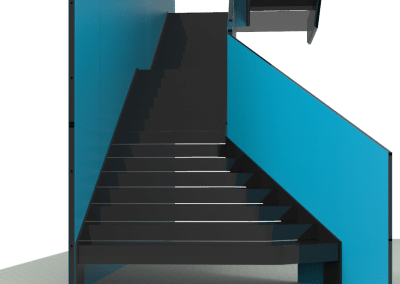 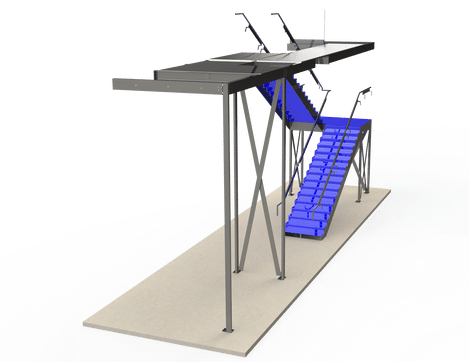 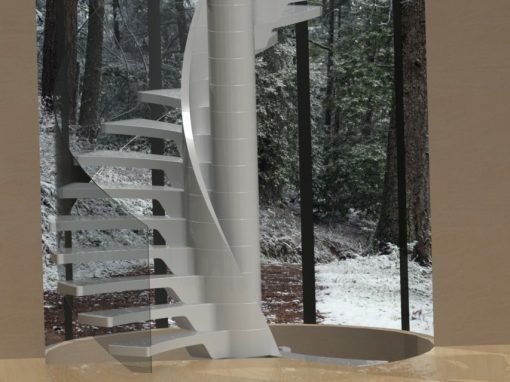 There are different types of steel staircase (straight, spiral etc.) 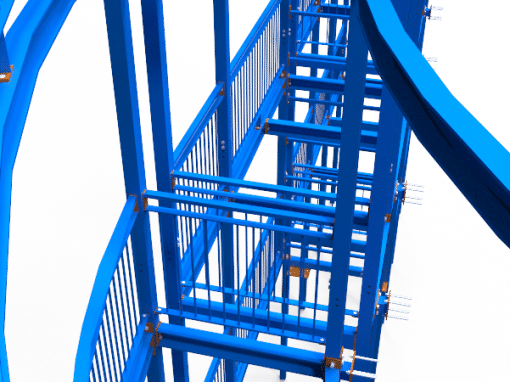 with a range of different tread profiles. 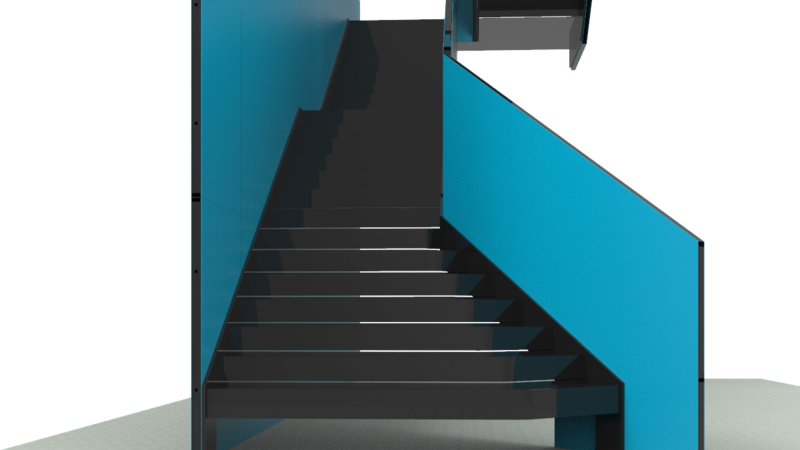 The staircase can be for residential use or commercial. 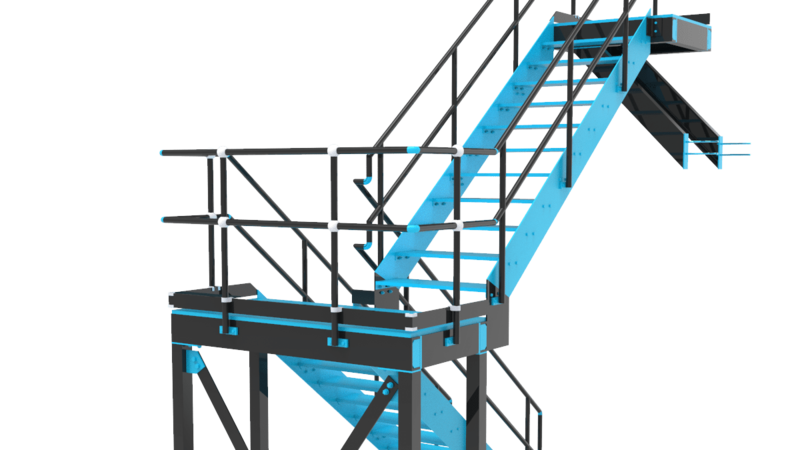 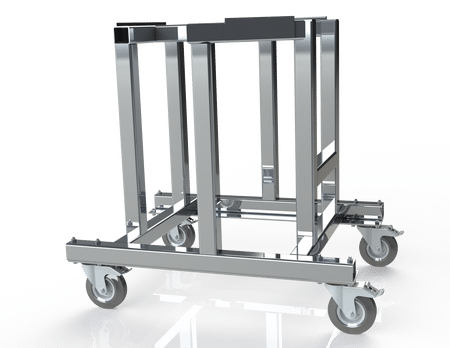 CAT Ladders are often used in access platform applications. 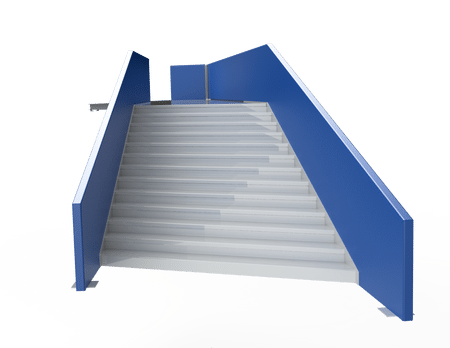 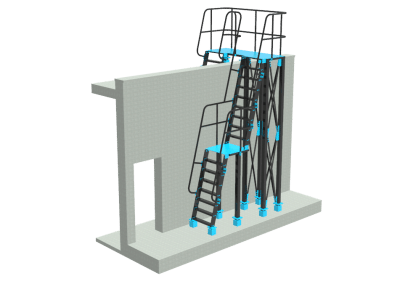 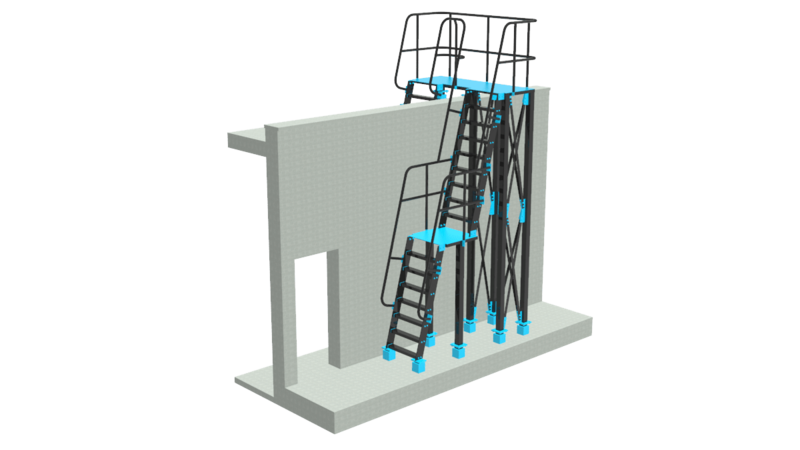 All staircases and ladders must comply with building regulations (Approved Document K) and potentially other specifications such as the EEMUE Publication 105 for Factory stairways, ladders and handrails. 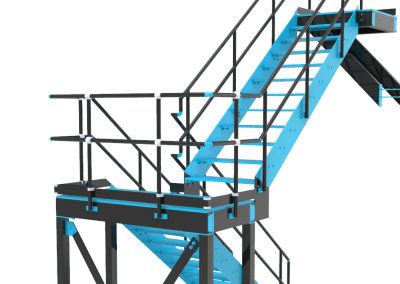 How do we produce drawings for staircases and ladders? 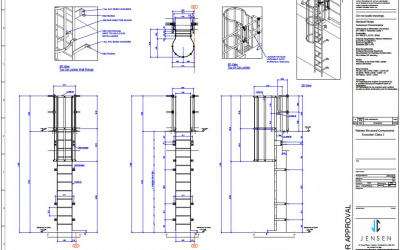 From the survey information in conjunction with the floor and tread build up we calculate the required riser heights. 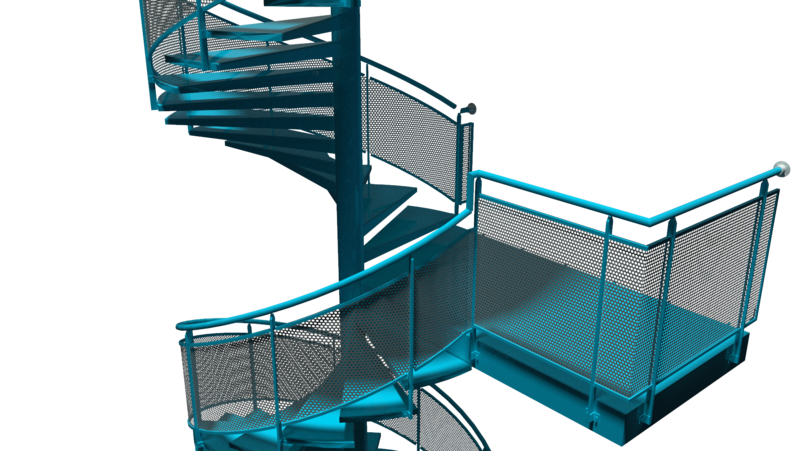 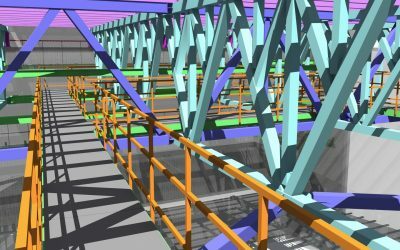 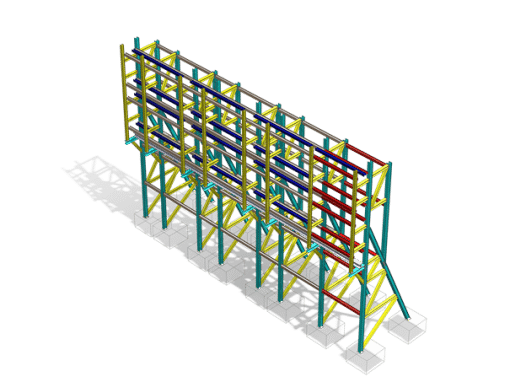 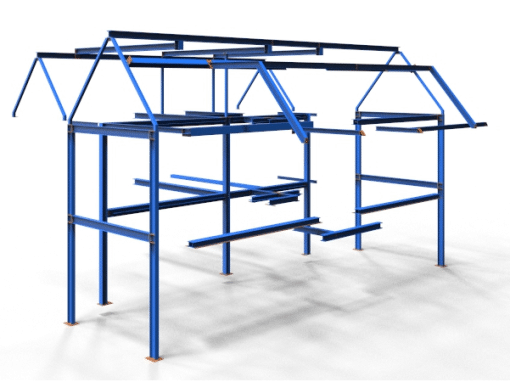 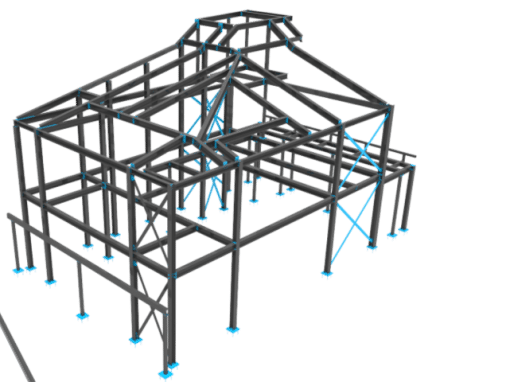 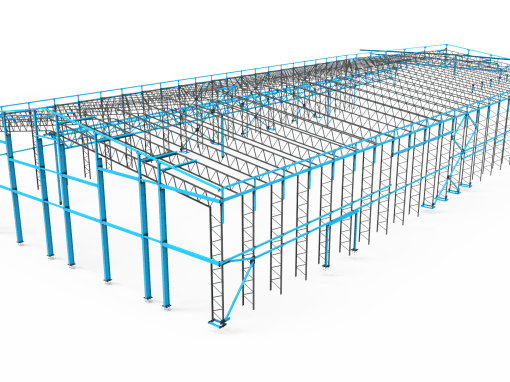 Based on the architect’s drawings we then produce a fully compliant 3D CAD Model in Advance Steel. 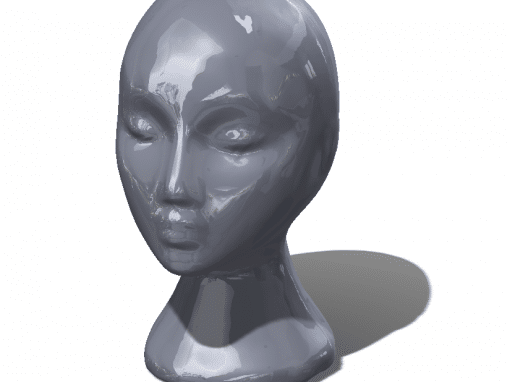 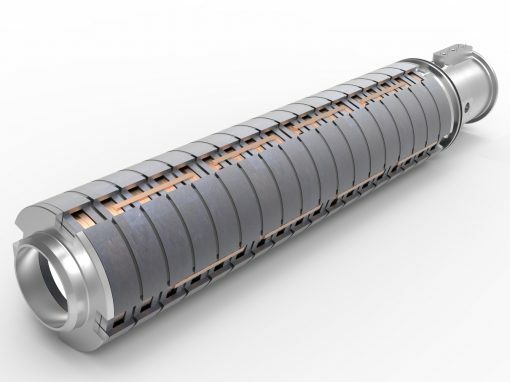 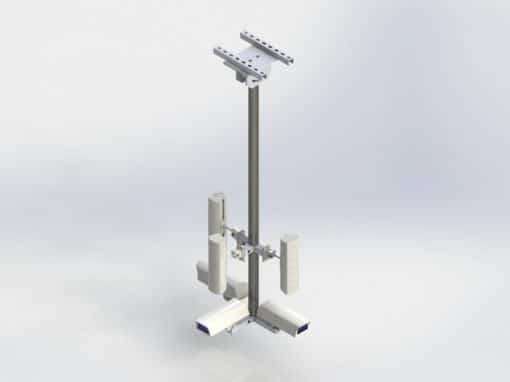 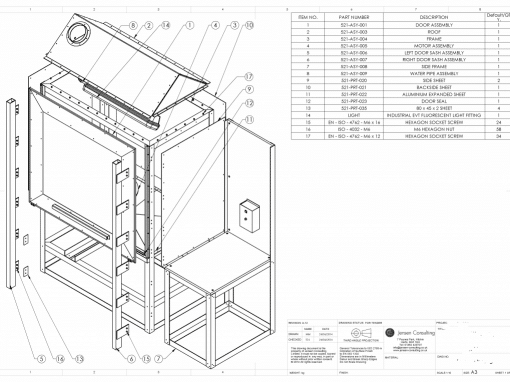 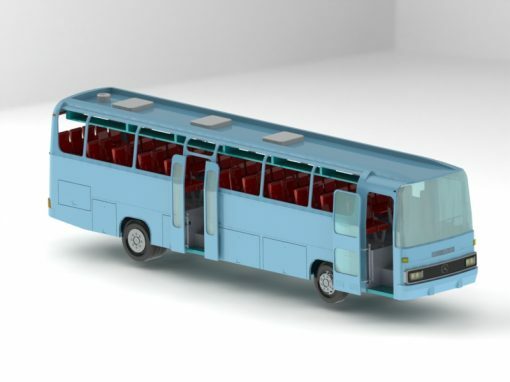 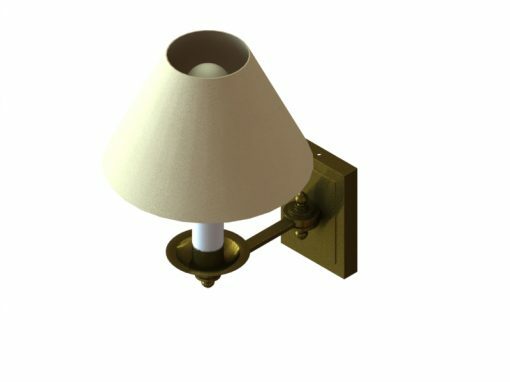 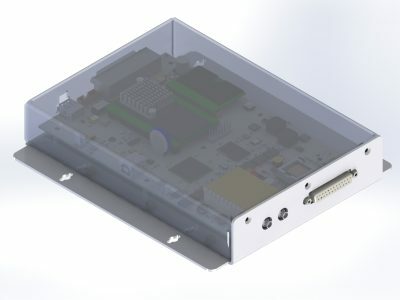 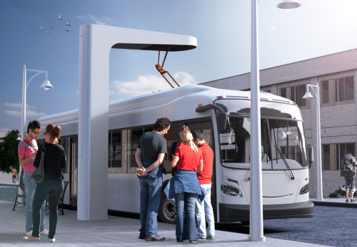 From the 3D CAD Model, we generate a General Assembly Drawing for approval. 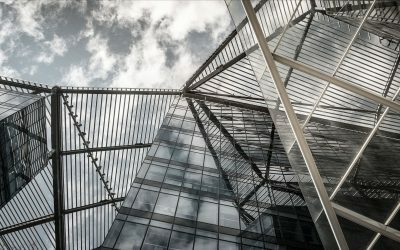 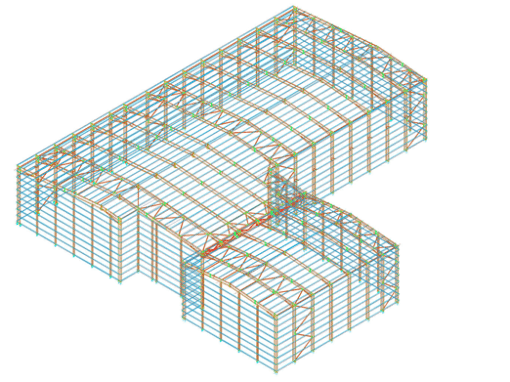 The GA Drawing will include all relevant views (plan, elevation, sections) as well as the connection details. 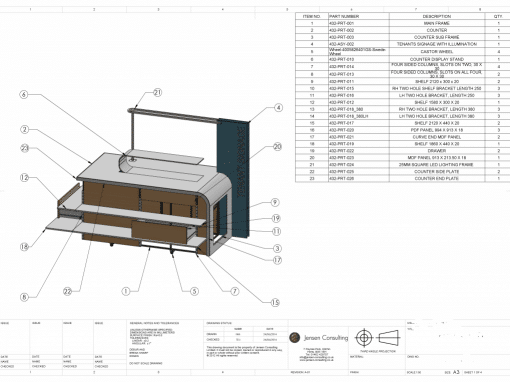 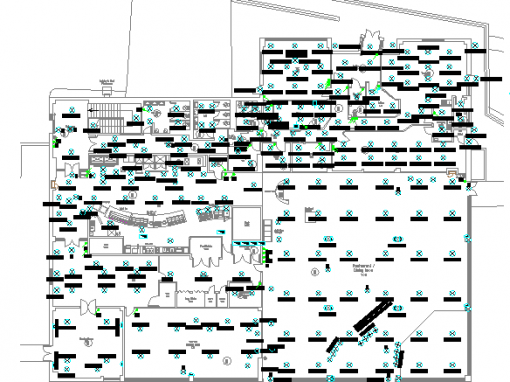 Once we have gained the approval of the GA Drawings we will revise this to a construction issue. 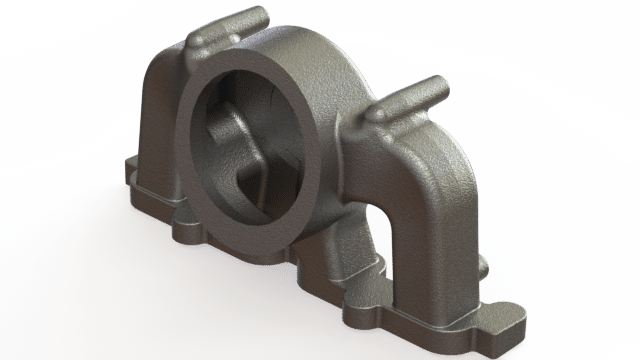 Further, we will produce the assembly & single parts drawings, material & bolt lists as well as the NC Files. 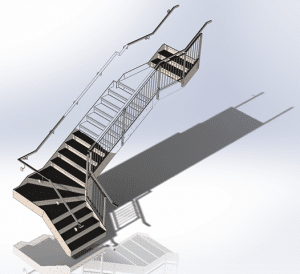 How much do staircase and ladder drawings cost?